A scarifier gives the lawn the air it needs to breathe. 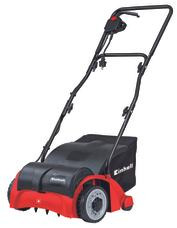 It scarifies the turf, removes moss and weeds and keeps the lawn healthy. Scarifying makes space for fresh, strong blades of grass and gives the grass freedom to grow. 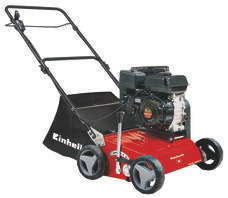 The product range from Einhell comprises scarifiers for scarifying only, and combination models that also work as lawn aerators. These are height-adjustable and can therefore be used for gentle lawn treatment which, although not as radical as treatment with a scarifier for scarifying only, can be performed more often.